Nope I don’t have a magic energy pill or supplement that is going to skyrocket your energy to the moon. And there could be (and probably are) deeper rooted reasons to why you do not have consistent energy – if that’s you. But if you’re just looking for that extra pick-me-up to rock your day and have an extra boost – that’s just what I’ve got for you. 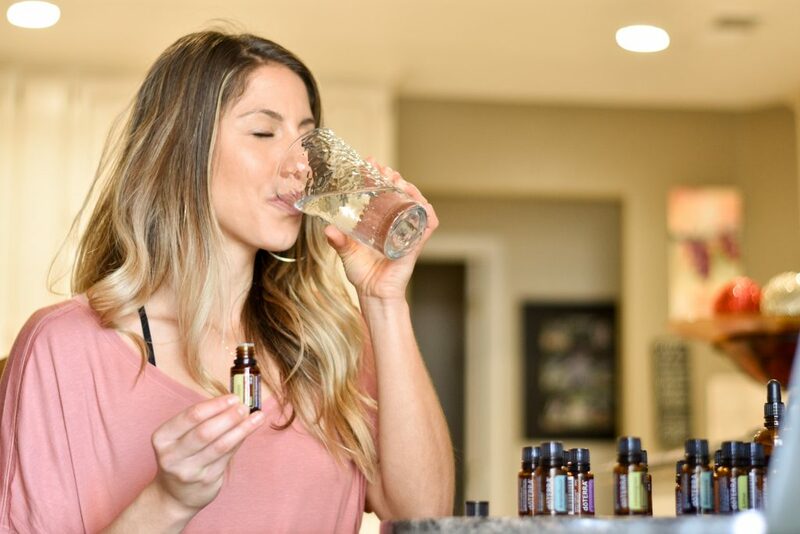 Whether you’re putting a few drops in your diffuser or rubbing a drop in your hands, cupping them lightly over your nose and mouth and inhaling – hellloooo peppermint! You can do this in the morning as well as multiple times per day for a pick-me-up. Peppermint essential oil is great for headaches, really cooling, can ease heartburn and digestive discomfort and is awesome for jet lag. You’ll definitely catch me inhaling my peppermint essential oil bottle in the airport as I am traveling. 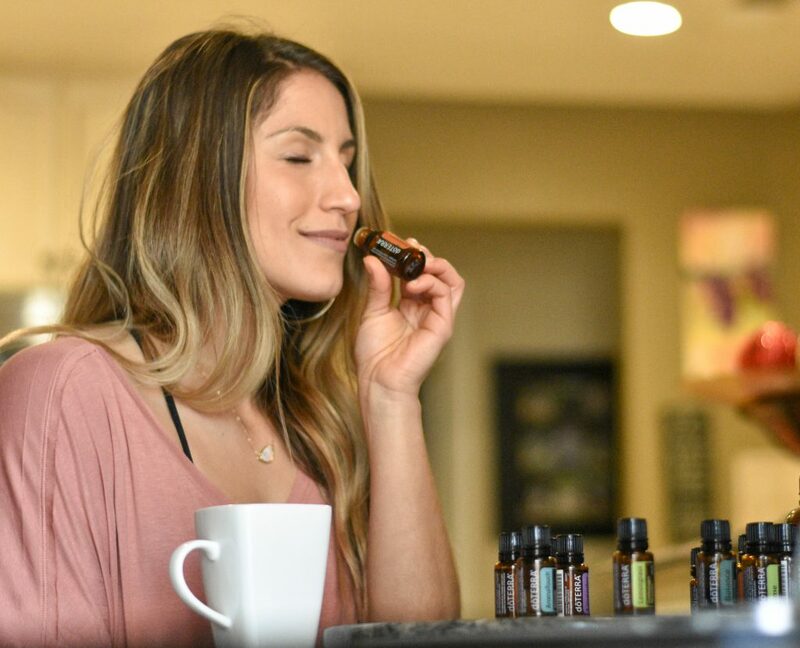 If you’re interested in ordering any essential oils, you can find a step-by-step guide right here. Cultivate and rev up your energy with movement. This morning energizer workout is the perfect morning routine to get your body fired up for the day. A mix of mobility, flexibility & a bit of cardio…you’ll be set up to rock the rest of your day. I am a recovering caffeine addict who now has like one cup of coffee 3-4 days per week. Reaching for the coffee or pre-workout supplement was the first thing I did in the morning for so many years. Now I can go weeks and months without a cup of coffee and I choose to have it when I want to enjoy it and not because I will turn into a monster if I don’t get it NOW…you know what I mean? Drink a big liter of water with lemon essential oil. Whether you choose to have your cup of coffee afterwards is up to you, but get to know your body and how you too can cultivate and rev up that energy! Is social media and email really the first thing you want to plug into your brain in the morning? It’s not really necessary to grab your phone before you open your eyes, you’re not missing out on anything. Whatever has happened on the internet has happened – you’ll find out when you’re meant to. Wake up, get some fresh air, journal, meditate, write down what you’re thankful for, drink some water & move as mentioned in #2 & 3. Whatever you do as your morning routine, just take some time for you before you “connect” to the outside world. Enter your day ready to rock, consciously and with a plan. If you want to learn how to take control of your life and your time, you can apply to work with me one-on-one. I love helping people find time and create their dream life.